1) Preheat oven to 400 F. place bacon on tray and cook for 10 minutes. 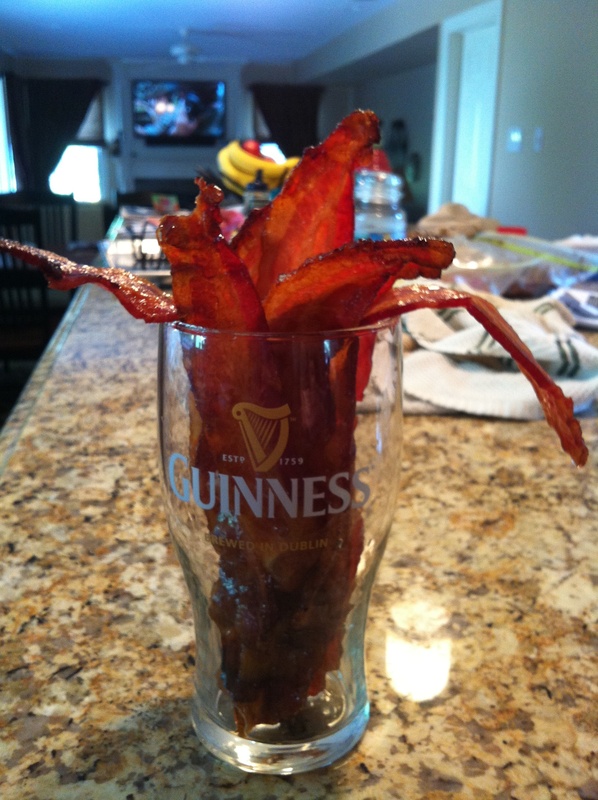 2) While bacon is in oven, whisk beer and sugar together to form light syrup. 3) After 10 minutes, take bacon out of oven and flip. Brush bacon with beer sugar mixture. 4) Bake bacon for another 10 minutes. 5) Take bacon out of oven and cook on wire cooling rack for 1 hour.